Longwood, Florida appears north of Orlando in Seminole County. Longwood FL represents one of the oldest markets in Central Florida real estate. It also dates back as a community to around 1875. In its early days, it was used primarily as a winter resort by wealthy people from the north. Longwood FL real estate, at that time was an assortment of resort properties and amenities. Today, real estate hosts a full-fledged, year-round community, full of business and residential amenities, as well as a lovingly preserved historic district. Some Longwood homes have kept their period charm in the district, while elsewhere they unfold in newer finery, amid numerous, beautiful neighborhoods. Homes for sale in Longwood FL offer pleasant experiences in daily living amid a community with a park-like back drop and lake amenities galore. Numerous homes for sale appear in gated, as well as non-gated niche communities and golf communities. In fact, Longwood FL real estate makes a significant statement in master-planning, homes with idyllic locations and volumes of natural beauty. Welcoming, vibrant Longwood provides for nearly every taste and living preference. Those interested in the community as a place to live, work and play will find a wide array of lovely styles, floor plans and locations. Longwood homes for sale seem to provide no end of livability and desirability, wrapped in the community’s natural radiance. Buyers can find everything from quaint, cozy cottages to elegant, custom homes in the offering. Homes for sale seem to provide no end of opportunity with a pleasing range of competitive pricing. Get in touch with Longwood FL. 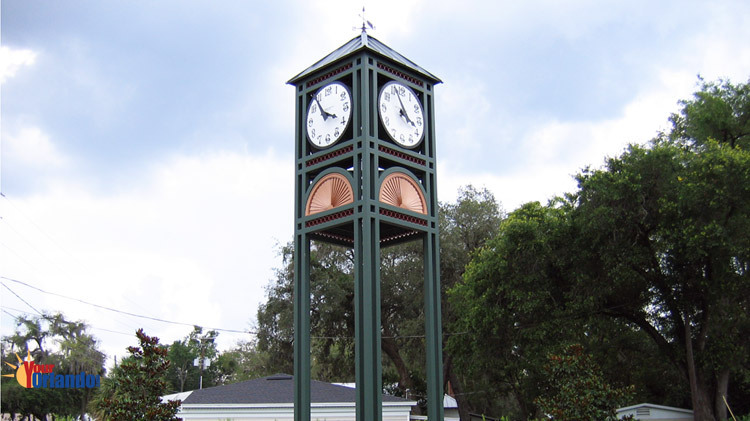 Find details on neighborhood amenities, homes for sale in Longwood FL, lifestyle preferences and more. Browse www.TolarisRealty.com. Use the unique, map based search. If you have a question about real estate in Longwood FL, get the expert advice and service you deserve. Contact us at Tolaris Realty. Available homes hold big attraction in this small town for every age group, and economic level. From singles and young professionals, to families of every size and retirees, there is something to suit nearly anyone’s fancy. Nature lovers won’t be disappointed, either. Magnificent examples of Cypress, hundreds of acres of natural preserves, pristine lakes, rivers, bays and lagoons await. Boating and fishing opportunities are second to none in Longwood. Find out more. Use the map based search and Lifestylefinder on www.TolarisRealty.com. Rare, absolutely stunning 8-ACRE PRIVATE ESTATE off Markham Woods Road. Custom built by Maroon Fine Homes, this gorgeous home offers more than 6,500 SF of luxurious living space and includes a sprawling, single-story layout that boasts formal living and dining areas, a library, his and her offices, a designer chef 8217;s kitchen, a home theater, and more. Breathtaking, scenic views can be taken in from just about every room in the home. The grand, master bedroom retreat features high, wood beam ceilings, French doors that lead to a covered terrace, and a master bath that offers his & her vanities, a deep jetted tub, spa shower, & two oversized walk-in closets with customized shelving and storage. Four bedroom suites, each with a full bath, are located on the opposite side of the home. Soaring ceilings, checkered Travertine stone tiles, hardwood floors, trim moldings, & high-end finishes are found throughout the home 8211; no detail has been overlooked, no penny spared. The gourmet kitchen, complete with gas cooktop, copper range hood, double island, & hidden walk-in pantry is open to the family room with panoramic views of the outdoor living area & pool. The spectacular backyard rivals that of a secluded country estate with a fire pit, outdoor kitchen, aviary, and 50 foot salt water pool. There 8217;s no doubt this unbelievable property is ONE-OF-A-KIND. Ultra-private yet convenient to nearby restaurants, shops, major highways, & less than 15 miles from downtown Orlando. Additional information available upon request. This exceptional golf front home is located in 8220;The Reserve 8221; of Alaqua Lakes, one of the most sought after guarded & gated communities in Central Florida. Situated on a spectacular oversized cul-de-sac lot w/ 270 degree panoramic views of the Legacy Club 8217;s private golf course (see video & aerials), this impressive residence was custom built by First Southern Homes featuring distinctive architectural detail & designer finishes throughout. Floor plan is spacious & open creating the perfect flow for entertaining or family living. Expansive windows showcase the amazing views. First floor features an elegant & open formal living & dining. Gourmet kitchen has oversized island & breakfast bar, granite countertops, stainless steel appliances, double ovens, subzero refrigerator & freezer, wine refrigerator & gas cooktop as well as a spacious breakfast nook all overlooking an inviting family room w/ wood beam ceiling detail, fireplace & custom entertainment center. Stunning first floor owner 8217;s retreat has a fireplace, large sitting area & luxurious master bath. First floor also features a 2nd bedroom suite, a private office & 2nd office/flex space. Second floor has 4 bedrooms, 3.5 baths, media room & bonus/gym. You will want to live outside in your large covered lanai & resort style pool/spa w/ summer kitchen & fully gated lot. UPDATES: NEW 50 YEAR CHARCOAL SLATE TILE ROOF $175k (4/19), NEWER:3 ACS, POOL SCREEN, EXTERIOR PAINT, POOL FILTRATION & GAS HEATER. Priced below current appraisal! Your dream home is now available in Alaqua Lakes. This custom Dave Brewer home built in 2015 shows like a model & boasts every upgrade imaginable! This entertainer 8217;s dream home truly makes the statement that 8220;you have arrived! 8221; The open and spacious one story floorplan features a three way split, two bedroom suites in the front of the home, two bedrooms in the middle, the Master Retreat on the far side of the home next to the oversized study, & an oversized bonus room with full bar in the back of the home. Designer features include travertine floors, 10 foot sliders, Chef quality Thermador Professional series appliances, volume ceilings, Sonus surround system, custom built ins, TWO fireplaces & a natural gas fire pit. With golf views, cul de sac location, four car garage, wine cellar, stunning light fixtures, there's no feature forgotten here.The pocket sliders in the gorgeous family room slide into the walls to merge the outside and inside for an elegant & open feel. Enjoy the very best of outdoor living with a salt pool, raised hot tub with waterfall edge, summer kitchen with Artisan vented stainless grill, natural gas fireplace, wood inlaid ceilings & outdoor shower. All with panoramic golf course views beyond the fenced rear yard! The bonus room boasts an extended bar with two kegs, beverage refrigerator & Bosch stainless dishwasher. The Master Retreat is elegance at its finest with wood floors, a stunning bathroom, huge double closet & second washer/dryer.PERFECTION! ULTIMATE LUXURY! 6,500 sf ALL ON ONE FLOOR, CUSTOM DAVE BREWER spectacular home lin sought-after 24-hr MAN-GATED GOLF COMMUNITY of ALAQUA LAKES! Perfection at is finest, no detail left undone! An 'estate feel' captivates you upon entering the steel & wrought iron double entry doors. Volume ceilings, warm tones & architectural features highlight dramatic elements incl 5 bdrms, 4.5 baths, office/den, GRAND kitchen w/48x84 CENTER ISLAND, WOLF, SUBZERO & BOSCH APPLIANCES, 3 refrigerators & 3 dishwashers, Butler's Pantry, Mud Area, Porte-cochere entry, 5 GAS FIREPLACES, exercise rm w/COFFEE/WET BAR, fabulous Bonus/Game rm w/WET BAR & dishwasher plus potential theater rm/5th bedrm! Master Retreat features large HIS/HERS closet w/island, dual water closets, jagged edged TRAVERTINE flrs, custom built-ins, Exercise Rm/Nursery & Dressing area. EXPANSIVE COVERED LANAI complimented by TRAVERTINE SURROUND, htd SALTWATER POOL, flagstone coping, sun shelf/beach entry. Built-in SUMMER KITCHEN, commercial grill & GAS FIREPLACE & GAZEBO. 4-car OVERSIZED garage, paver drive & extensive parking. Previously purchased in foreclosure. Meticulously updated by current owner w new appliances, lighting/fixtures, window treatments including plantation shutters, built-in den cabinetry/doors, water softener, multi-zoned AC system. Ext improvements incl new pool filter pump, heater & lighting, landscaping (palm trees, shrubbery, Seminole chips, Zoysia grass) & irrigation controls. This property may be under Audio/Visual Surveillance. **Click Tour Link for Matterport Walk-Through Video** The Enclave private sub-division boasts a Custom Dave Brewer home on a premier street inside the Tom Fazio golf course community ALAQUA LAKES. This one-of-a-kind luxury home has state-of-the-art LUMA exterior cameras and Ring 174; doorbell surveillance overlooking the 8th fairway of Legacy Club with lush manicured landscaping visible from inside through seamless glass walls and a perfectly complimented interior design. Stunning Travertine flooring, tray ceiling, layers of architectural details and enhancements, double sided fireplace, private office/library with custom built-ins, plus separate study/den with floor to ceiling cabinets is the ideal setup off secondary bedrooms for family and guests. The gourmet kitchen with top of the line appliances is the heart of your family/gathering room where everyone comes together. Gather around to watch the big games, play some billiards or mix up your favorite drinks at full service bar in your bonus game room while the chef starts up the grill at your poolside summer kitchen. The oversize covered, screened lanai is certain to be a favorite place to entertain, swim or relax in the spa all the while enjoying your magnificent views and surroundings. We have only touched on the features of this truly pristine home. See yourself living in this home simply by calling today to schedule your viewing. Spectacular Lake Brantley 5 Bed 4.5 Bath Lake Front Pool Home+ Office. No HOA! Lake Front Living on Large Flag Lot and Long Driveway gives space and privacy to park numerous overflow cars (love to entertain or just have lots of cars! ), space for RV. The home includes a basketball court and oversized putting green. The long drive gives your family their own private bike path/play area,unique opportunity to have a lake front lot and land/space for your family. Large boat house with lift for ski boat and separate lift for wave runners. Lounge in the pool with infinity edge or on the large deck or your own private sand beach area. Next to the pool is a large back yard for swing set and play area. Downstairs Master with lots of closet space. Down Stairs Guest/Mother In-Law Suitethat has its own entrance and covered patio. Remodeled Kitchen with Gorgeous Granite, Miele Plate warmer, Miele Steam Oven, Induction Cook Top, Convection Oven, Microwave, Oversized Refrigerator surrounded with Gorgeous Hardwood Cabinets. There is a large Walk In Food Pantry and an additional Utility Pantry. Loads of storage space throughout the home. Downstairs Office. Upstairs are 3 Bedrooms and 2 Full Baths with separate Family Room, and a Game Room with full bar and stunning views of Lake Brantley. Cozy Workout Room. Large Vaulted Patio looks out over the Pool and Lake. 3 Car Oversized Garage. You can easily expand the Master and/or add an upstairs bonus room/theater all under the existing roof! Nearly $300,000 in renovations!! Here's your chance to own a home right out of the Restoration Hardware catalog in Seminole County's premier neighborhood: the sub-gated Enclave at Alaqua Lakes!! Sitting atop an over half-acre lot with sweeping golf and nature views, this completely renovated home has had no expense spared in its work. Stunning new flooring in foyer, dining, kitchen, living and family rooms, with jaw-dropping RH lighting fixtures throughout! The double-sided fireplace is shared with the living room and eat-in kitchen, while ALL bathroom vanities have been re-done with RH brand sink, mirrors, and sconces. The master suite features more brand-new flooring, top of the line sconces, and a master bathroom that is the ultimate in luxury with walk-thru steam shower, garden tub with tub-glow, and once again dual Restoration Hardware vanities each featuring gorgeous sconces and finished off with a massive walk-in closet. Your gourmet kitchen has been completely renovated with fresh 42 cabinetry and 2 counter height islands; one with 5-burner gas range. The gigantic lanai is designed specifically to take advantage of the outdoor Florida lifestyle, featuring a gas grill and sink, and dramatic views of the oversized sparkling pool and famous Alaqua Lakes golf course. Private membership at the Alaqua Lakes golf club is reciprocal with Heathrow Country Club, so when you're a member at Alaqua Lakes, you're a member at Heathrow too! This home may be under audio/visual surveillance. ALAQUA CUSTOM WATERFRONT HOME WITH UPGRADES GALORE! Two seated majestic lions set the tone for this phenomenal home. Exterior also features a large set back and over-sized circular driveway. Interior boasts exquisite chandeliers & ornate crown molding throughout. Marble, hardwood, & imported Spanish tile cover the homes sprawling floors. Discover many unique features, including: 400+ sq ft of contiguous master closet space (that 8217;s just hers! ), an elaborate study / executive office with custom painted cathedral ceilings, family room with exquisite custom tray ceiling, two balconies - exterior overlooking front of the home, & interior princess balcony opening into sunken living room that boasts over 30 8217; ceilings. En-suite baths and walk-in closets in all bedrooms, excellent water & pool views throughout and side rear entry 3 car garage. Master bath includes garden tub & walk in shower. Custom built gourmet kitchen features an island with additional sink, walk-in pantry, rich cherry cabinetry with crown molding and brilliant granite. Immaculate pool area features large covered seating area with cathedral ceilings & upgraded light fixtures, along with separate private seating area off master bedroom. Pool features multicolored mood lighting, and has a gorgeous water view as a backdrop! Screened two story pool enclosure keeps the bugs out & fire pit adds to the home 8217;s beauty! Beautifully landscaped! This home was made to entertain with style! Excellent schools within minutes. Come See Your New Home Today!